WTT my CGM 2005 STI trunk with wing for a winged trunk off of an CGM WRX. I want that trade! I am located in Davis. PM me back!! Have a WRB '07 STI trunk/wing. 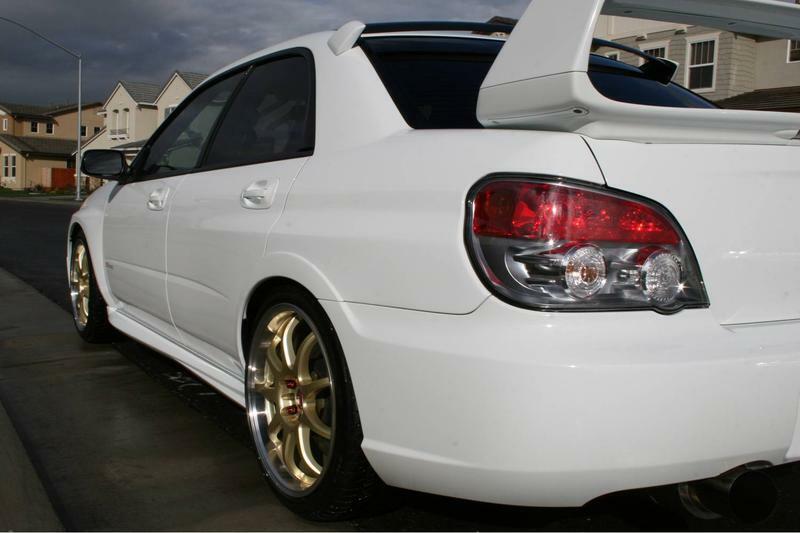 Want a WRB wingless OR WRX trunk/wing in excellent condition. Want a SGM STi trunk and wing. Located in Sacramento (closer to roseville). 04 java black pear sti wing, looking to trade for wingless java black trunk. im in socal. pm me if interested. Hi everyone! Was wondering if anybody wants to trade me their trunk with a wing for my wingless trunk? I have a gray 07 2.5i Impreza. Let me know if you're interested! Also, located around Philadelphia, PA area! PM ME! Thanks! I have a WRB 06 STI I just got from a dealer. I want to trade my trunk lid & STI wing for a WRX trunk lid & wing. I live in San Jose.